We decided to re-Queen a couple of our hives and split a couple more. 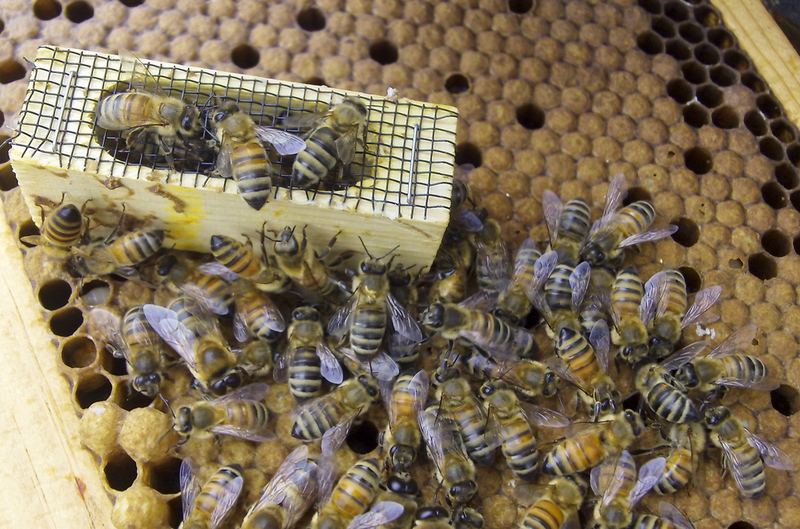 Ryan bought 4 Queens from Olympic Wilderness Apiaries. They have an incredible Queen rearing program and graft Queens from entirely untreated breeder colonies from Russian and wild survivor stock. He once bought one of their Select Queens whilst still in WA, but gave her to Melissa of Melissabees.com when we were in NM. Apparently the hive is doing incredibly well. Our postmaster was quite worked up when the package from WA marked "LIVE QUEEN BEES" arrived to our little East Wallingford post office. I picked them up while Ryan was at work and gave them drops of water and honey. We prepared the new nucs later that evening. We also performed the royal task of beheading the Queens in the hives that were struggling.